Injured WWE Superstar Sami Zayn was a recent guest on Chris Jericho’s Talk is Jericho podcast and the Montreal, Canada native opened up his recent injury and life outside of WWE. Zayn is currently recovering from having both of his shoulders surgically repaired. Despite being away from the ring for five plus months now, Zayn doesn’t seem all too eager to return, “I know wrestling fans, maybe don’t want to hear this, but I’ve been loving being off. I think wrestling fans want to hear, ‘I can’t wait to be back and I miss everything.’ I don’t miss anything. I don’t miss it yet. I’m surprised by how little I’ve missed it. Five months and I don’t miss it. What’s up with that?” Zayn continued, “Maybe I’m overstating my lack of desire to return. I do miss performing. Like you said, I’ve been doing this a super long time. We’re on the road a lot. You know how it is. I just know that when I’ll be back, I’ll really enjoy it. 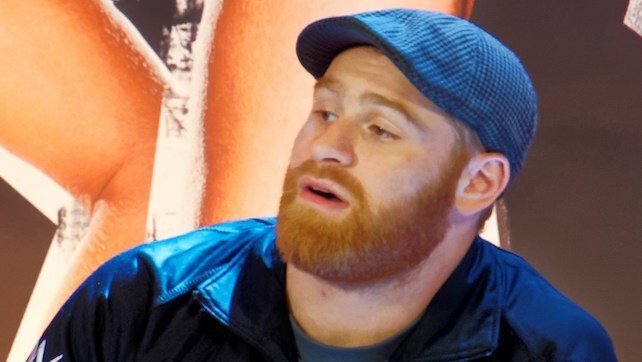 I’m not sitting there itching and clawing and I don’t know if my employer will want to hear that.” Despite RAW running a recent video depicting Sami Zayn’s return as being ‘soon’, Zayn describes his anticipated return as ‘not even close,’ “I’m not even close [to being cleared]. I need a few more months.” Zayn added that he is currently at the Performance Center doing rehab on his surgically repaired shoulders.